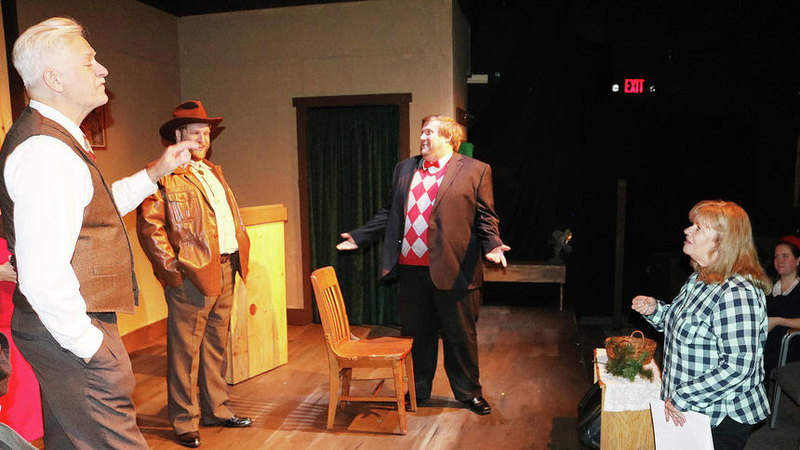 The County Seat Theater Company’s production of Sweet won Best of Festival at the Minnesota Association of Community Theatres Festival held in Austin, MN this past weekend. The cast will move on to compete at the American Association of Community Theatres Region 5 competition in Aberdeen, South Dakota April 25-28. Sweet is centered around three generations of the Carter family, headed by former boxing champ “Sweet” Clemmet Carter portrayed by Michael Rosen. When an enthusiastic sports writer (Greg Anderson) enters their life asking to write a book about Clemmet’s boxing days, he discovers that some family secrets are better left buried. In addition to Best of Festival, the production also won for Outstanding Achievement in Acting Ensemble. Director Joel Soukkala was recognized for Outstanding Achievement in Directing, Scenic Design and Sound Design. Actors Jennifer Soukkala and Greg Anderson also won for Outstanding Achievement in Acting. This is the third time the County Seat Theater Company has advanced to the Region 5 American Association of Community Theatres Festival. The first time was in 2011 with their production of Wiley and the Hairy Man, a production that also advanced to the National Festival and an International Festival in Japan in 2012. Only nine Minnesota community theaters have ever advanced to the National level and only three of those have went on to international festivals. “I am so proud of our cast and crew for their professional work. It makes me proud to be part of such an amazing community theater,” concluded Soukkala. The County Seat Theater Company will present an Encore performance of Sweet at the Encore Performing Arts Center in Cloquet March 28-30 at 7:00 pm and March 31 at 2:00 pm. Proceeds from this show will be used for travel expenses to the regional festival. Tickets can be reserved by calling the box office at 218-878-0071 or online at www.countyseattheater.com. 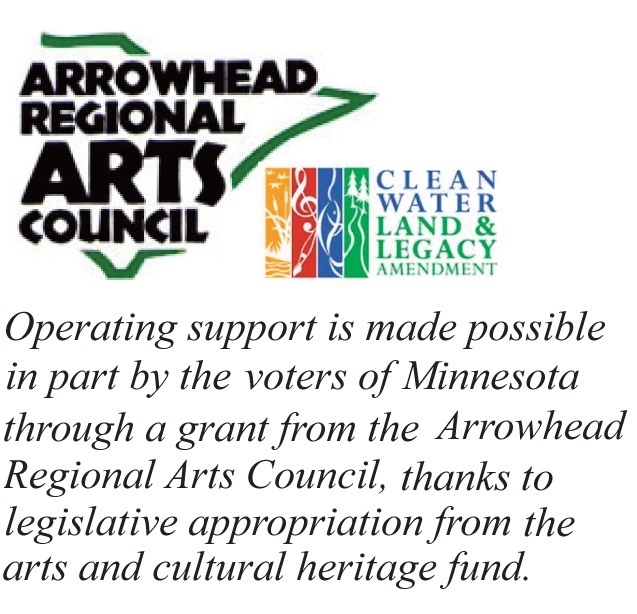 Since 2008, the County Seat Theater Company has been located in the Encore Performing Arts Center, at 2035 Hwy 33 South (on Frontage Road) in Cloquet. The theater offers a full season of local performances, as well as youth productions, musical acts and has an art gallery featuring work by local artists. When Cheryl Kramer-Milder was a little girl, she desperately wanted to be a TV star. Her mom had more practical advice. “She told me, ‘Take typing,'” Kramer-Milder said. Looking back on the past 30 years with the County Seat Theater Company, she’s happy her mother’s advice didn’t stick. “What a wonderful thing it’s been to be able to do this in my life,” she mused. If it sounds like the longtime actor and director is saying goodbye, that’s because she is. She and and her husband, Frank Milder — longtime technical director for the theater — sold their Cloquet home in September and moved back to Kramer-Milder’s home state of Nebraska. They wanted to be closer to her mother, who turns 96 next month, and her daughter and family, who moved earlier this year from Duluth into the old Nebraska farmhouse where Kramer-Milder grew up. In true County Seat fashion, she is saying farewell with a play. Kramer-Milder is directing “Sanders Family Christmas,” which she describes as both drama and comedy. The play is set on Dec. 24, 1941, only 18 days after Pearl Harbor was bombed. America is going to war and so is Dennis Sanders, of the Sanders Family Singers. But he can’t go without a final performance of 25 of their favorite southern Gospel songs, and lots of stories in between. Thus, Kramer-Milder came back in early October and took up residence at the Super 8 in Cloquet and began rehearsals with her co-director, Regina Roemhildt. They’d previously done the play together when County Seat was located in a little country church in Atkinson Township. “I love working with her,” Kramer-Milder said. Roemhildt said their friendship began when Kramer-Milder cast her for a part in “The Nerd.” They work well together, Roemhildt said. Those who remember the last time the County Seat did the “Sanders Family Christmas” will recognize a number of faces in the cast. Greg Anderson is back in the role of Uncle Stanley, while Roemhildt’s son, Andrew, also returns, but as a different character since he’s now 15 years older and no longer a teenager. Jeanine Goeres plays the mother again. Kramer-Milder is also very excited to have musician Bill Isles playing the dad/husband. The rest of the cast is a combination of new people and some of the theater’s core people — faces that local theater-goers will recognize, including Rick and Ruthie Breuer. Rick recalls the first time he called the County Seat to see if they did musicals. It was 2006. He wasn’t an actor, he was the chief executive officer at Community Memorial Hospital. Still, he had a yen. Like the time the Carlton County theater took its competition piece, “Wiley and the Hairy Man.” Ruthie played the adolescent boy and Rick played his grandma — all the way from the regional competition, to nationals, to an international children’s theater festival in Japan. Although the awards are wonderful — and they’ve won plenty in the annual Minnesota Association of Community Theaters (MACT) competitions — it’s the people that Kramer-Milder keeps bringing up. “Sanders Family Christmas,” presented Dec. 1-3 and Dec. 6-10, wraps up the 30th anniversary year of County Seat Theater Company. Carlton County’s only year-round theater marked the occasion by looking back, and performing some of the best shows from the previous seasons. Kramer-Milder’s been there from the beginning, even before it became a community theater. It all started in 1987, when Kramer-Milder had an idea to raise money for the Carlton High School band by staging a community production of “The Odd Couple.” She approached band director Michael Roemhildt (Regina’s husband) and ultimately cast him in the part of Felix. Although she had acted in high school plays and helped out the the CHS plays, this was Kramer-Milder’s first time directing. The play was such a success that they did the fundraiser two more years, raising money for lots of improvements to the stage in the small gymnasium. Ultimately, they decided to actually start a community theater, and continued performing at the high school until 1999, when they found the church in Atkinson Township. Nine successful season later, the theater group was outgrowing its second home and discovered the current building on Frontage Road, with a very large “For Sale” sign outside. After a successful capital campaign, they took possession in January 2008. As Frank and Cheryl depart, they leave behind both the physical legacy — the Encore Performing Arts Center — and philosophical one of incredibly high standards. Kramer-Milder leaves her legacy in the hands of Joel Soukkala, who started acting in one-act plays as a teenager at Carlton under Cheryl’s direction and basically grew up with the theater itself. Soukkala chuckles at some of the memories they’ve made together while running a theater: “pumping septic water out of the theater basement at 2 a.m., trapping mice or chasing bats out of the theater” before a show begins. Soukkala has been the County Seat’s only full-time employee as general manager (and sometimes director/actor) since 2012. Kramer-Milder is proud of him — she says he’s like one of her kids — and of the theater, that it can support a full-time staff member. For his part, Soukkala says the theater is like one of Kramer-Milder’s own children. Kramer-Milder said she has mixed feelings about leaving. “This has been a wonderful place to live, but what I’ll miss the most is the County Seat Theater and all my family there. And St. Francis Church in Carlton where I’m music director, and all our friends,” she said. But it was a good time to go. © 2018 by Encore Performing Arts Center. All Rights Reserved.